William Jennings Bryan stepped off the train at Dayton in July of 1925, ready to fight for a "righteous cause." For thirty years the Great Commoner had been a progressive force in the Democratic Party. As a congressman from Lincoln, Nebraska, his eloquent "Cross of Gold" speech won him the first of three presidential nominations. He supported women's suffrage, championed the rights of farmers and laborers and believed passionately in majority rule. In 1921, when he was 61 years old, Bryan began a new campaign — to ban the teaching of evolution in public schools. Many wondered if Bryan had given up his progressive ideals. Had his religious faith turned him against science, education and free speech? Few understood his reasons for opposing evolution. As a young man, Bryan had been open-minded about the origins of man. But over the years he became convinced that Darwin's theory was responsible for much that was wrong with the modern world. "The Darwinian theory represents man as reaching his present perfection by the operation of the law of hate," Bryan said, "Evolution is the merciless law by which the strong crowd out and kill off the weak." He believed that the Bible countered this merciless law with "the law of love." Bryan was progressive in politics and a conservative in religion. According to biographer Lawrence Levine, "Bryan always mixed religion and politics. He couldn't conceive of one without the other because religion to him was the basis of politics. Without religion there could be no desire to change in a positive way. Why should anyone want to do that?" The eight-day Scopes trial took a toll on Bryan. He suffered from diabetes. The stifling heat of the courtroom depleted his energy. The national press depicted him in an unflattering light. Reporter H. L. Mencken came to Dayton expressly to "get Bryan." In daily reports to The Baltimore Sun Mencken mocked Bryan as an "old buzzard" and a "tinpot pope." "It is a tragedy indeed," he wrote, "to begin life as a hero and to end it as a buffoon." On the seventh day of the trial, Bryan fell into a trap when the defense team led by Clarence Darrow called him to the stand as an expert witness on the Bible. Attorney Phillip Johnson says "The idea of the defense lawyer calling the chief prosecutor as a witness is absurd. But Bryan thought it was an opportunity to have the debate — to make his case." One of the nation's greatest public speakers took the stand to be interrogated by another rhetorical champion. Snapping his suspenders, jabbing his finger at Bryan, Darrow peppered Bryan with questions: "When exactly was the earth created? How many days did it take? Where did Cain get his wife?" The judge tried to stop the grilling, but Bryan pounded his fist, refusing to step down: "I am simply trying to protect the word of God against the greatest atheist or agnostic in the United States!" Finally, the judge called a halt to the spectacle. The next day the jury pronounced John Scopes guilty. 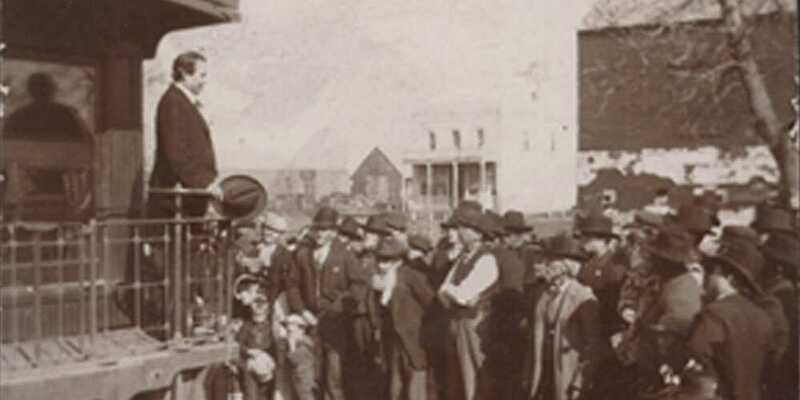 William Jennings Bryan had won the case, but history would not look kindly on his last crusade. The Scopes trial would cast a long shadow over his remarkable career. Five days after the trial ended, Bryan died in his sleep in Dayton. His death triggered an outpouring of grief from the "common" Americans who felt they had lost their greatest champion. A special train carried him to his burial place in Arlington National Cemetery. Thousands of people lined the tracks. Historian Paul Boyer says, "Bryan's death represented the end of an era. This man who had loomed so large in the American political and cultural landscape for thirty years had now passed from the scene." In 1930, in memory of William Jennings Bryan, a fundamentalist college began classes in Dayton, Tennessee. Bryan College now accepts students from all over the world. 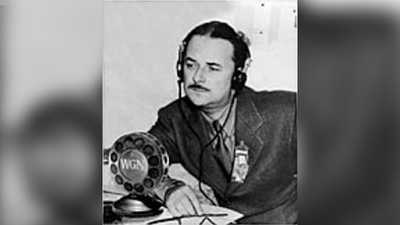 Quinn Ryan and WGN radio made history in Dayton. The Scopes trial was the first live broadcast of a trial in American history. 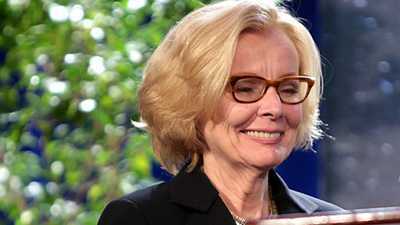 Peggy Noonan is a former television writer and presidential speechwriter. The speeches she wrote for President Ronald Reagan were widely admired for their effectiveness. 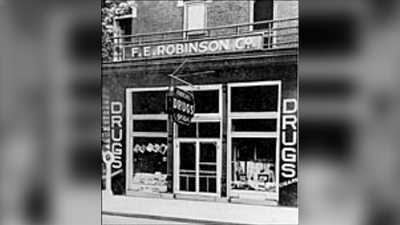 It began over cokes and phosphates in a drugstore in Dayton, Tennessee. A little scheme to boost the local economy exploded into the trial of the century.